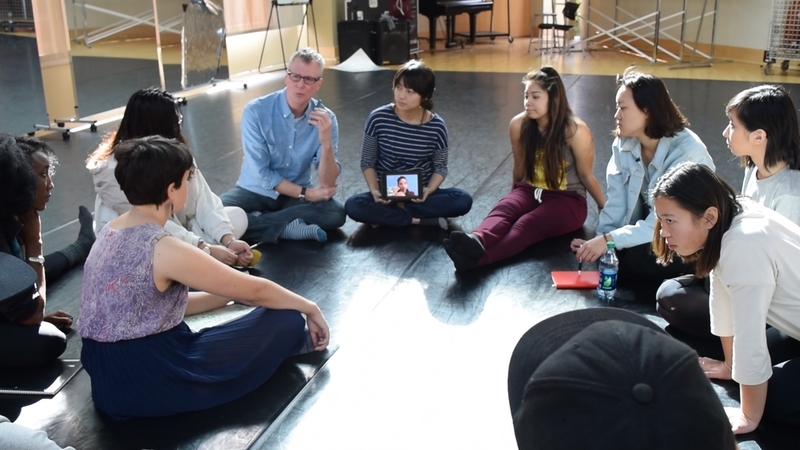 The UCLA VAPAE Program encompasses arts education courses, internships, projects, and public presentations for students and the community at large. With the goal of being at the center of the statewide and national debate regarding the importance of the arts for all students, and to be a catalyst for positive change in urban arts education, the mission of the Visual and Performing Arts Education (VAPAE) Program in the School of the Arts and Architecture is to expose UCLA undergraduates to the rich history of arts education in the U.S. and to highlight its role in a diverse society. The VAPAE Program supports the creative and intellectual growth of UCLA undergraduates while providing much needed arts education curricula to students throughout Los Angeles. Through its innovative interdisciplinary coursework, community arts programs, special projects and public events, VAPAE provides UCLA students with experiential opportunities to develop into qualified teaching artists, and to introduce them to a range of possible careers in the arts. VAPAE offers courses designed to introduce undergraduates to key issues and methodologies in the field of arts education and to a broad range of careers in the arts, including K-12 teaching, community arts education, museum education, art therapy, and arts advocacy. In response to pressing needs in our local schools, VAPAE’s Afterschool & Arts Enrichment Programs offer students in the Los Angeles area supportive and constructive out-of-school arts activities. VAPAE faculty and staff are a diverse team of practicing artists and scholars trained in contemporary arts pedagogy, committed to social justice and community engagement through the arts.